Located in the Northwestern corner of Arkansas you will find adventure that comes in many different forms. 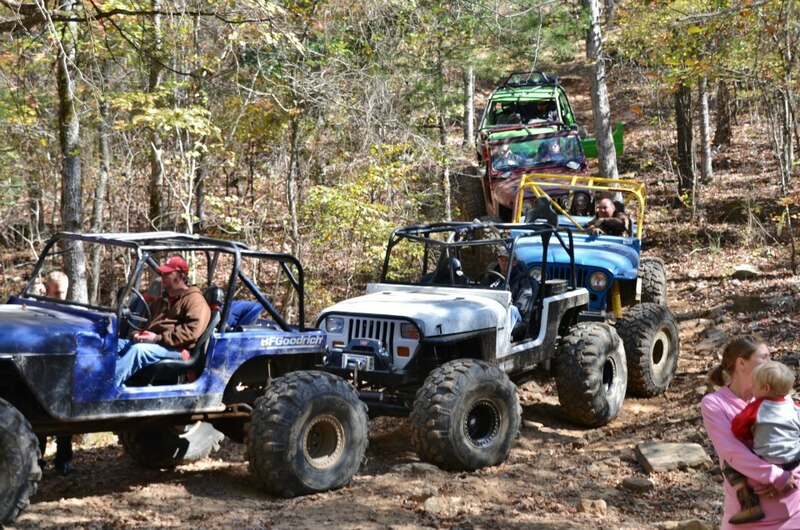 From a meandering scenic drive through peaks and valleys to the challenging rock ledges and hill climbs that will test your Jeep 4X4; the Ozark Adventure is sure to be another fantastic Jeep Jamboree. Headquarters for the Ozark Mountains adventure is at the Byrd’s Adventure Center in Ozark, Arkansas. This family-owned park is no stranger to large groups and is ready to welcome Jeep Jamboree USA. They offer RV spaces, primitive camping with the wonderful shower/restroom facilities and a general store on site.